Changes to the Neutrality Act permit belligerent states to purchase arms from private suppliers on a ‘cash-and-carry’ basis, whereby they have to pay for any weapons and then transport them using their own vessels. Given Britain’s command of the Atlantic sea-lanes, this act is clearly intended to benefit the Allied nations. Criticism of Finland in the Soviet press and a faked border incident further sours Soviet-Finnish relations. Joseph Stalin, the Soviet leader, subsequently withdraws from the nonaggression pact with Finland and breaks off relations. Finland, lacking allies or arms, fails to anticipate the attack, believing talks will avert a conflict. A Soviet force of over 600,000 men, backed by air and naval power, attacks Finland in support of Otto Kuusinen’s newly-proclaimed Finnish People’s Government, which is sponsored by the Soviet Union. As aircraft bomb the capital, Helsinki, Field Marshal Karl von Mannerheim leads the nation’s defense with a mainly reservist force, inferior in both numbers and arms. 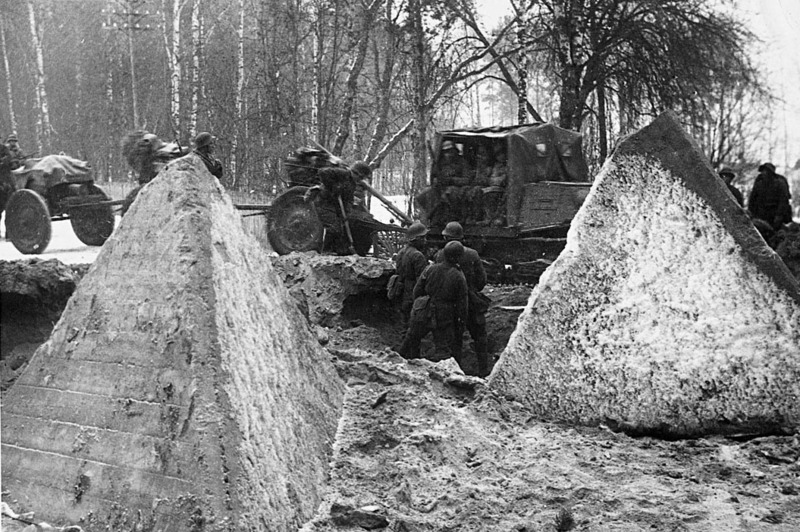 The main Soviet thrust through the Karelian Isthmus is obstructed by the Mannerheim Line, a 1914-18 system of fortifications that runs through rugged terrain and forest. Other Soviet forces attack Eastern and northern Finland, and also launch failed amphibious assaults on the southern coast. As the campaign progresses, highly-motivated Finnish troops exploit their familiarity with the terrain and use their ability to ski through snow-covered areas to launch hit-and-run raids on Red Army units bogged down by the weather.